يشكل فندق Marriner Views Apartments بموقعه الممتاز في قلب سارفرس باراديس نقطة انطلاق ممتازة لاستكشاف جولد كوست. يحظى هذا الفندق ذو 4 نجمات بمكان ممتاز يسمح بالوصول إلى المعالم السياحية الأكبر في المدينة، فهو يبعد مسافة 0.8 km عن صخب المدينة. يشكل هذا الفندق ملاذاَ مريحاً للاسترخاء ويمنح زواره فرصة للاستجمام والتجدد، وهو يقع على بعد خطوات من المعالم السياحية الكثيرة للمدينة كمثل: SkyPoint Observation Deck, كاسكيد, Surfers Paradise. إن Marriner Views Apartments حريص على توفير الراحة للنزلاء، فلا يوفر الموظفون جهداً في تقديم أفضل الخدمات وضمان حسن الاستقبال. هذه بعض الخدمات الموجودة في هذا الفندق: واي فاي مجاني في جميع الغرف, تسجيل وصول/خروج سريع, تخزين الأمتعة, واي فاي في المناطق العامة, صف السيارات. ادخل إلى واحدة من الغرف 50 وتخلص من عناء نهار طويل بمساعدة مجموعة كبيرة من الخدمات كمثل تلفزيون بشاشة مسطحة, اتصال لاسلكي بالإنترنت, اتصال لاسلكي بشبكة الإنترنت (مجاني), غرف لغير المدخنين, مكتب الموجودة في بعض الغرف. يقدم الفندق مجموعة رائعة من الخدمات كمثل حوض استحمام ساخن, مركز للياقة البدنية, حمام سباحة خارجي, سبا, مسبح (للأطفال)، لجعل إقامتك تجربة لا تنسى. مهما كانت أسبابك لزيارة جولد كوست، فإن Marriner Views Apartments هو الخيار الأفضل لإقامة مثيرة وممتعة. They also charge me disorderly and didn't notice me anything to charge me, please careful the staff will charge you with some unreasonable reason. Have you anyone heard the hotel will charge you extra cleaning fee because you forgot clean one piece of tissue I left on the floor! RIDICULOUS!!!! We had no water from Saturday night through Sunday. Had to check out early Sunday no water . Disapointing. Location was great just a very short walk to the beach. We had an enjoyable stay and the location was great - so close to the beach. There were little niggles that made our stay less pleasant - the fan in the dining room and second bedroom didn't work which was a problem the second night when it was rather warm and opening the window resulted in us being constantly awakened by street noise. Also the dining room was dark and an up lighter light was missing its bulb. We stayed at 3 different hotels at the Surfers' Paradise and Marriner Views had to be the best among the lot (and we even stayed on a 41st floor at a 5 star hotel for 2 nights). The building of Marriner Views look normal, but once we were in the room, it was awesome. We booked a 2 bedroom unit, and got the 18th floor unit facing the ocean. The room was nicely decorated and make us feel like we are at home -- nice lighting, books on the bookshelves and nice kitchen. Basically the room we got (on 18th floor) got character. The two managers, Bernie and Margaret, were very friendly. We checked out and my kid left her glasses in the room. Bernie sent us an email within 30 mins after we checked out, and we came back to pick it up. Location, Cleanliness of the apartment, big rooms and spacious. great holiday accomodation for families travelling with children. apartment is clean and well kept. rooms are big ,hall is huge and kitchen is good. about 10-15mins walking distance to malls and shopping. very good view of the beach from the apartment esp if you are staying at the higher floors. staff are friendly and helpful with info , about shopping and sightseeing. would definitely go back to stay at the same place again. the only thing is they dont provide breakfast. 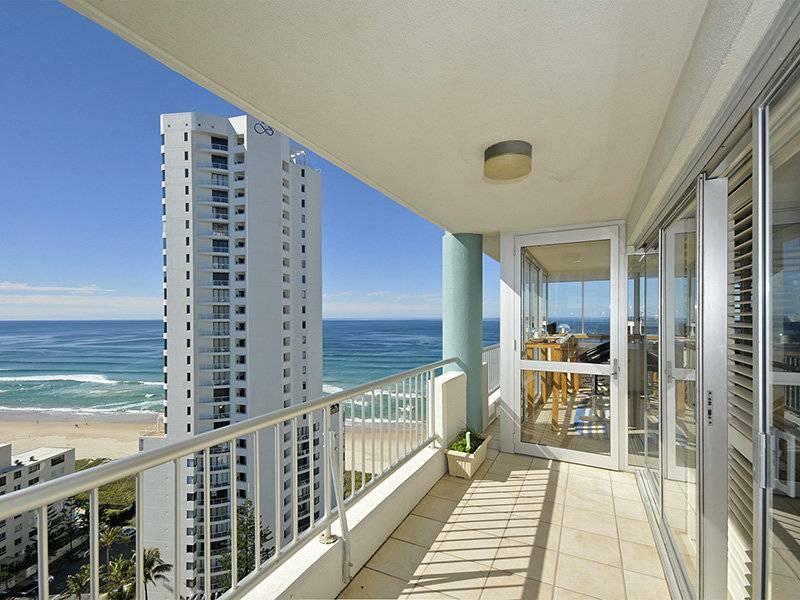 Verty large, well equipped appartment 30 metres from Northcliffe beach. The management were very friendly and helpful. The spa, steam room and tennis court were a bonus. we are leaving in wollonong, nsw. 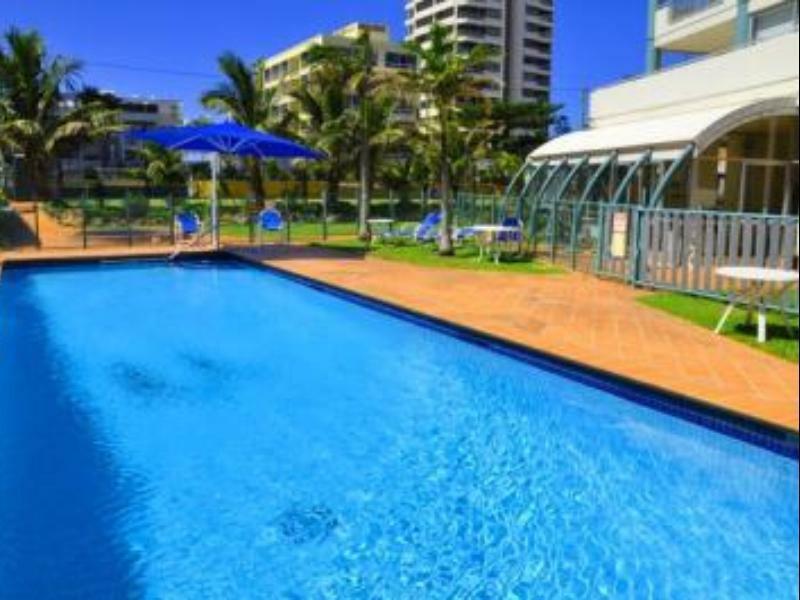 our family with two children have been stayed in this marriner views apartments, gold coast during last week of sept. 2011 (2 bedroom apartment 5 night stay). the appartment is spacious, neat & tidy with the lovely occean views and value for the money. 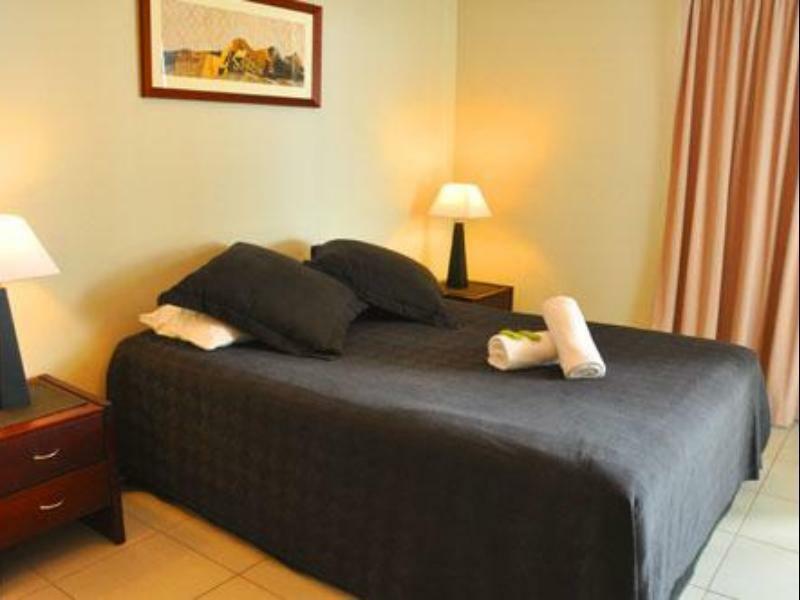 it is located about 10 mins walking distance from surfers paradize shoping centre (centro). the staff is friendly and provided the assistance when required. i recommend this appartment for the families and couples holidays trips. We were on the 18th floor and had the nicest views of the ocean, just gorgeous, so peaceful!! We had a great time while staying in this location, the steam room is awesome and the pool also. The apartments are central to all the major shopping outlets on the gold coast. Great hotel for the price with great views of the coast and river. In perfect location right in-between surfers paradise and broadwater. Good sea facing apartment hotel. Has a nice balcony where one can sit and relax. Next to the beach so one can go down at any point of time. Had a 5 night stay for a quick get away. The apartment we stayed in was 2 bedroom, the main with an ensuite. The kids bathroom was certainly quite large although both needed a facelift as the ensuite 3 door panel kept falling off. The kitchen/living area was newer, quite large, had great cooking facilities and the couch was huge and comfortable. We had a large dining table and also an outside eating area with tables and chairs and views. There was a pool on the ground floor in full sun, but it was probably just a bit larger than a normal backyard pool. It was a brisk 10 minute walk into Surfers and one street back from the beach. There was underground allocated parking, although the garage door system is key locking and once failed to open in a hurry (after we had been stuck in the lift for 30 mins and managed to break out before the serviceman arrived). In summary, this place is a great value for money, a good location, spacious with great cooking facilities. It isn't new, isn't a resort, but is certainly very comfortable to stay in. We would certainly stay again. very good room, comfortable, bus stop not far from apt. good in everything, but after 5pm no one open the door for u, if u leave your luggage when u check out 10 am. You must come back befor 5 pm to get your bag to airport otherwise u can't get yr bag home!! Facilities, furniture, pool, balconies, view, location. We were greatly impressed by the size of this apartment and its inclusions. There were two balconies affording excellent views of Surfers Paradise. It was clean and quiet. Le seul problème, Il manquait des rideaux occultants aux fenêtres des chambres.